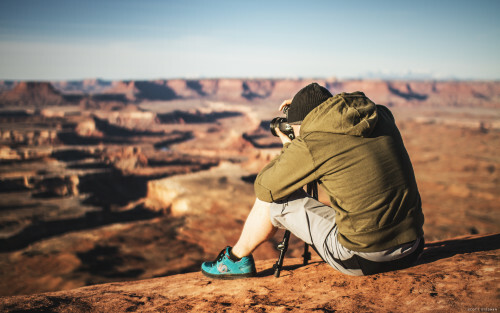 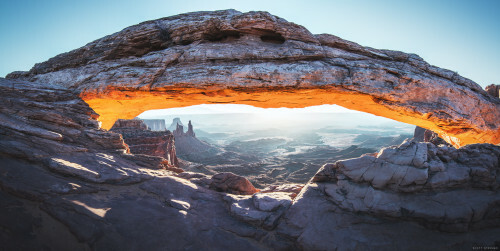 Day 5; woke up in Canyonlands before sunrise and booked it over to Mesa Arch, which is one of the most spectacular sunrise photography locations I’ve ever seen. 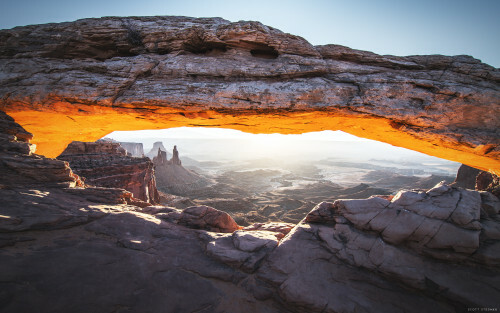 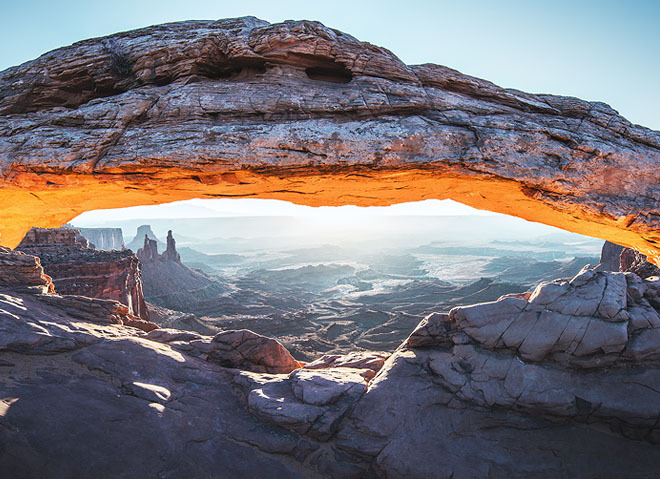 As the sun rises over the La Sal mountain range in the distance, it hits the canyon wall underneath the arch and illuminates the arch from only below, which winds up shooting a spectacular orange cast on the underside of the arch. Immediately following Mesa Arch, we drove to the far end of Canyonlands’ Willow Flat campground, where the Green River overlook is actually quite a bit more impressive than the Grand Canyon. 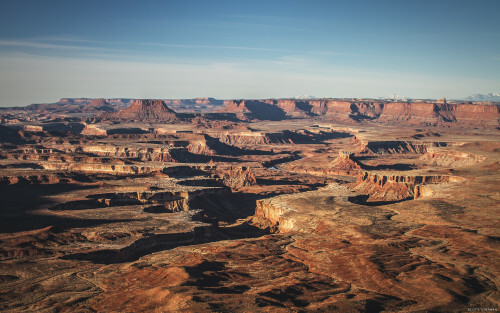 From the top of the overlook where we were shooting, it’s a roughly 2,000 foot drop to the canyon floor where the river cuts through the rock.